Helping youth and teens who are at risk. Because the definition of an “at-risk youth” is so broad, in some respects, all youth are at risk in one way or another. So, who fits the technical definition of “at-risk?” An at-risk youth is a child who is less likely to transition successfully into adulthood. So, what can a parent do to discover if their child or teen is considered at-risk? Many factors help to detect at-risk students. A student who misses class on a regular basis, a student who hasn’t done well on the first assessments in a course and a student who isn’t interacting with peers or activities on campus. Helping at-risk youth re-engage in school requires not only the elimination of school “push out” practices like suspension for truancy, but a host of other activities. One of the most frequent reasons for suspension is based on student behavior. Meeting students’ mental health needs can curb further behavior problems. Services directed at social/emotional needs are also necessary. 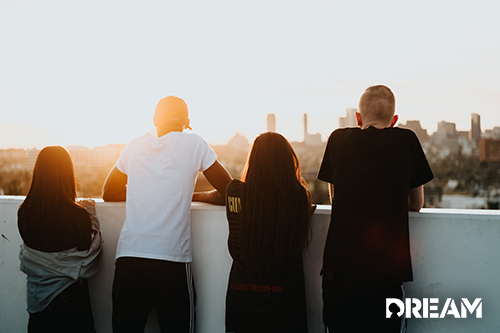 Involving at-risk youth in social skills groups or outside activities helps to engage them in the school process and redirect their energy toward positive alternatives. Clearly, academics are a primary concern. Structured learning environments, with smaller than usual teacher to student ratios, are conducive to re-engagement. Students typically benefit from a focus on the core academic skills like reading, writing, and math. Tutoring services and computer programs can also be used to engage youth and help further academic skills. The connection between home and school is an important factor. When families feel disaffected by the school system, they need help to be able to re-engage in the schooling of their child. Schools should encourage parents to be involved with their children’s school life. For students with serious attendance problems, mandatory parent/family nights on a weekly basis could help ensure that parents stay involved. Truant behavior predicts poor achievement, dropping out, delinquency, and ultimately adult criminality. The good news is that these poor outcomes are preventable. While it makes sense to intervene early, there are positive results gained by turning at-risk youth around at any age.